After years of building hope for a treatment, Rochester researchers and clinicians will begin the first controlled clinical trial for Juvenile Batten disease this summer, thanks to $1 million in grants from the Food and Drug Administration (FDA) and the Batten Disease Support and Research Association (BDSRA). The trial will examine whether mycophenolate mofetil, a drug FDA-approved to suppress the immune system and prevent organ rejection in children, is safe for these children and whether it can slow or halt the progression of the fatal neurodegenerative disease. Juvenile Batten disease is a lysosomal-storage disease that strikes seemingly healthy children and progressively robs them of their abilities to see, reason and move. It ultimately kills them in late adolescence or young adulthood. Batten disease is in the same family of diseases as Krabbe disease to which former Buffalo Bills quarterback Jim Kelly lost his son, Hunter, in 2005. Juvenile Batten disease is a very rare recessively inherited genetic condition. That means both parents must pass on the abnormal gene in order for a child to develop the disease, but it also means there is a 1 in 4 chance another child in a family has it. Because the onset of symptoms usually occurs sometime between 4- and 8-years-old, parents often have more children before they know they are carriers and before they can obtain genetic counseling. The trial will enroll 30 patients who are already showing symptoms of the disease. Each child will be their own control during the study, taking the medication for eight weeks, and a placebo for eight weeks. The children will take a break in the middle of the trial to clear the body of medication. Because it is a double-blind study, the researcher-clinicians and the families will not know when the child is taking a placebo or the active medication. Patients will have to travel to Rochester four times over the 22 weeks they are in the trial, which is no small feat, considering the difficulties of traveling with children who may be blind and/or seizure-prone. 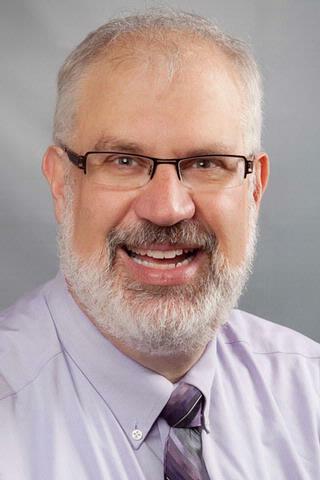 The discovery of a potential immune system component to Juvenile Batten disease came about nine years ago through work among researchers at URMC, including David A. Pearce, Ph.D., who has since moved to Sanford School of Medicine at the University of South Dakota. URMC researchers have examined the potential use of many medications in the treatment of Batten Disease, but mycophenolate is the first to make it to a controlled clinical trial. Preclinical studies have provided evidence that suppressing the immune system can slow disease progress in an animal model of juvenile Batten disease. The hope is that, neurodegeneration in children with Juvenile Batten disease will also be slowed – maybe even halted – by suppressing the immune system with mycophenolate. It will come as no surprise to the Batten research community – or the Batten family community – that Rochester is where the first controlled clinical trial will take place. URMC has a long tradition of collaboration among basic science researchers and clinicians, especially when it comes to Batten disease. URMC’s Batten Disease Diagnostic and Clinical Research Center is also the largest Batten disease clinical research group in the world which sees about 30 patients from across the U.S. every year. About a dozen new patients with Batten disease come to Rochester for treatment or research each year. In 2010, the URMC was named a Batten Disease Center of Excellence by the BDSRA. The growth of the Batten Disease Diagnostic and Clinical Research Center is in large part due to grants from the National Institutes of Health and the BDSRA, which helped fund the center and pay for travel to evaluate children with Batten disease all over the country. “This isn’t heart disease or diabetes, with many affected people willing to help with clinical trials and investigative efforts. The sample size is miniscule, comparatively, and shrinks further when you consider that patients are exceedingly fragile,” said Jonathan Mink, M.D., Ph.D., medical director of the Batten Disease Diagnostic and Clinical Research Center and chief of Child Neurology at URMC. Mink is also a professor of Neurology, Neurobiology & Anatomy, Brain & Cognitive Science and Pediatrics. Because Mink, Marshall and their team have been able to evaluate dozens children at different stages of the disease, they were able to develop a disease severity scale, which will be integral to the clinical trial. The Unified Batten Disease Rating Scale quantifies the physical, behavioral and functional aspects of the disease and is modeled after scales developed for Parkinson and Huntington diseases. Without a reliable scale to rate children’s symptoms, the results of the clinical trial would be somewhat subjective. In addition to Marshall, Mink and Augustine, Nicole Newhouse and Amy Vierhile, P.N.P., both study coordinators, Elisabeth de Blieck, project coordinator, and Jennifer Cialone, medical student, will work with families on the trial.